Here are some proposals from 6 developers who are competing to redevelop the Winthrop Sq. area (a humungous garage in the Financial District of Boston). Proposal No. 1: Accordia Partners: Proposed a 725-ft, 57-story tower spreading over 768,600 ft. The tower would incorporate 188 apartment units, a hotel with 280 rooms, a black box theatre with 175 seats, an observatory deck on the 56th floor, a restaurant on the 57th floor with stunning views of Boston, 5,300 sq. ft. of street level dining space and 2,638 sq. ft. of retail space with a underground parking space. The proposed development would include 34,000 sq. ft. of community and civic space. Proposal No. 2: Lendlease, Hudson Group North America, Eagle Development Partners: Proposed a 725 ft, 66-story tower that would incorporate 10 floors of commercial space and 51 floors of housing space, with 315 condo units spread over 25 floors and 26 floors of apartment suites with 221 units. A beautiful deck would be constructed between the condo and apartment floors. The tower’s outline incorporates installed LED light strips that would be programmable with minor changes in color and intensity. Proposal No. 3: The HYM Investment Group : as a team with St. Anthony Shrine and Ministry Center, which is coordinated by the Franciscan friars of Holy Name Province, HYM proposed construction of 20,000 sq. ft. St. Anthony Shrine at the 115 Winthrop Square spot and building a 725-ft private tower with 60 floors at the current St. Anthony Shrine area at 100 Arch St. in Downtown Crossing. 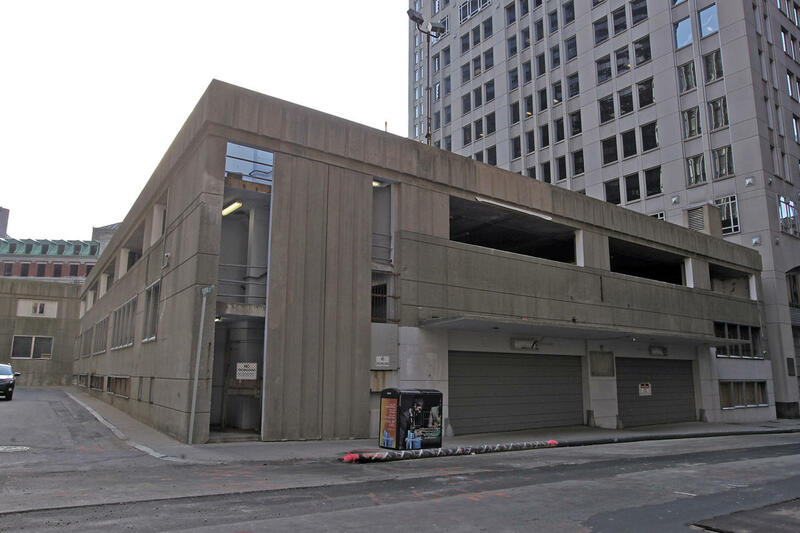 The Winthrop Square parking space would likewise house a 40,000 sq. ft. Downtown Boston school and a 117,000 sq. ft. new Friary and Ministry Center with rooftop top cultivations, all over a 500 cars underground parking space. Proposal No. 4: Millennium Partners: The proposal is for a 750 ft, $1.02 billion high rise tower, with 14 floors of office space and 36 floors of residences on a 65 ft. high platform space known as The Great Hall. The 12,750 sq. ft. Great Hall space is proposed as a social events place with 3 levels of restaurant and commercial space and a mezzannine that wraps around the interior. Proposal No. 5: Trans National Properties: The only respondent to late Mayor Thomas Menino’s request for a 1,000 ft. tower on the Winthrop Square space in 2006. The company that owns the adjoining site located at 133 Federal St. has now proposed merging that site with 115 Winthrop Sq. location to develop on 1.7 acres of total land. Trans National has proposed 2 725 ft. towers with up to 1.715 million sq. ft. of new construction which would include between 500,000 sq. ft. to 700,000 sq. ft. of commercial; 750,000 sq. ft. to 1 million sq. ft. of housing space; 30,000 sq. ft. of retail space; a consolidated 50,000 sq. ft. for an Entrepreneurship Innovation Center and Hub Accelerator; and a 500 car underground parking space. Proposal No. 6: Trinity Financial: Proposed a 60 level, 1 million sq. ft. tower with a 231 suite hotel, 645 rental and for-sale housing, a 11,000 sq. ft. public park on the 18th floor and 11,000 sq. ft. of open deck space and a restaurant space on the 52nd story.